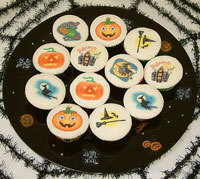 Due to customer requests we have now started to offer pre-printed cake tops. This is a new offering & our range of pre-printed cake tops will be expanding very soon. - Each sheet has 12 x 2.13 inch printed circles. - Ideal for use on cookies, cup cakes & iced biscuits. 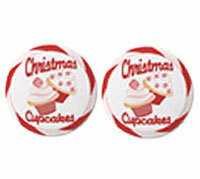 - The icing circles are pre-cut & will easily remove from the plastic backing sheet.